Join hundreds of other successful IT project managers, system architects, business consultants and executives. 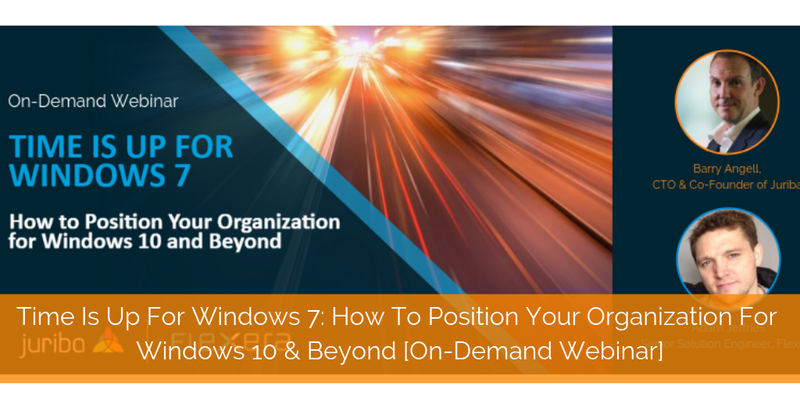 Last week, I had the pleasure of hosting a webinar with our partner Flexera entitled "Time is up for Windows 7: How to position your organization for Windows 10 and beyond". If you missed it or you had to drop out during it, don't worry — you can access the on-demand version below. Many of our customers have signed up for Microsoft's free FastTrack service that they are eligible for if they purchased certain enterprise versions of Microsoft 365, Windows 10, or Office 365. But they are also confused about what it is for, what to expect, and how to get the most out of it — and concrete information about the exact details are sometimes hard to find. 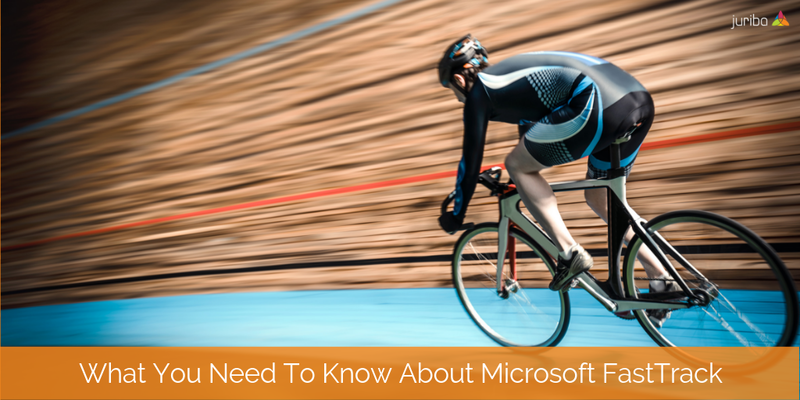 Over the last few weeks, we took a closer look at Microsoft's Modern IT Vision — in particular at Microsoft Autopilot improvements announced at Ignite and the new Device-as-a-Service offering, Microsoft Managed Desktops. Earlier this year, we also gave on overview of what Microsoft's version of Modern IT really is supposed to look like and answered the question if Microsoft's Modern IT Vision and Co-Management will replace traditional image-based management anytime soon. While these articles tackle different aspects of an IT management approach as described (or prescribed) by Microsoft's future visions, I always try to distinguish between what is marketing and what is reality for enterprises now and the near future. And in this case, Microsoft is telling us what the future will look like, but enterprises still have a long way to go until this could become reality for them. 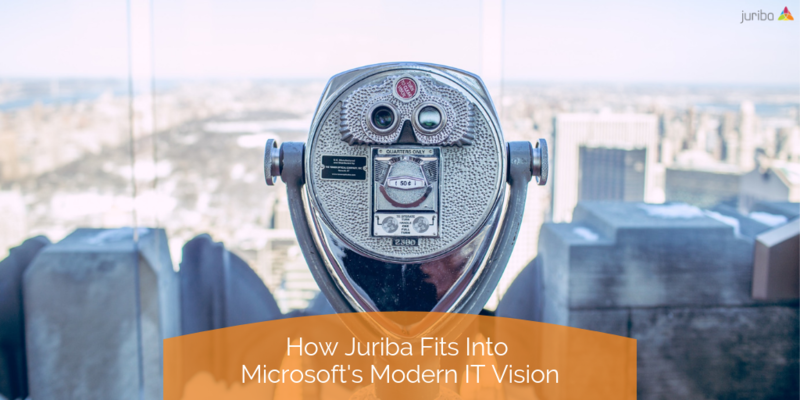 To help bridge that gap, I want to showcase today how Juriba fits into this whole picture and how our Evergreen IT Management solution, Dashworks, can smooth the transition for you. Did you know that 51% to 60% of government core business applications were implemented between 1990 and 20091 — making them between ten to thirty years old? While government institutions might be the extreme, from my experience I can safely say that financial services, manufacturing, and other legacy system-heavy industries are not lagging much behind. It is for this reason that some enterprises considered implementing Microsoft's Long-Term Servicing Channel as a convenient escape route from the mandatory Windows-as-a-Service upgrade pace. While an Operating System is certainly not a legacy application, some organizations seem to think so. According to a Dimension Research report, one in five companies with more than 5,000 employees planned to deploy the LTSC in 2017 — that is a massive increase of 27 percent compared to 2016. 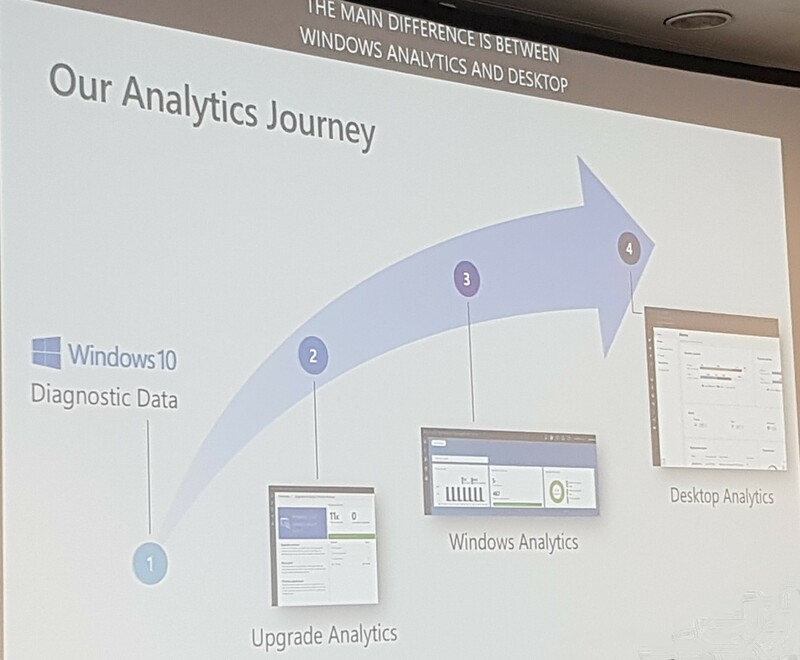 A few weeks ago, I participated in two interesting sessions at the Microsoft Ignite Tour: one about Microsoft Autopilot, which we have extensively covered in the past, and one about Desktop Analytics, which is the forthcoming upgrade to Microsoft's Windows Analytics telemetry tool. With the release due shortly, we thought we would share some information on this significant update. Last month, we partnered with Flexera to present the webinar entitled "Time is up for Windows 7: How to position your organization for Windows 10 and beyond" hosted by myself and Adam Jeffries, Senior Solution Engineer at Flexera. We all know that hindsight is always 20/20. There is probably nothing more frustrating than realizing that you just made a huge mistake, and then looking back and realizing that you should have known that that was a bad idea. But sometimes, we also receive really bad advice that overrides our gut feeling or better judgement. Whatever caused the misstep, we all learn from mistakes — but it's always easier to learn through someone else's mistakes. 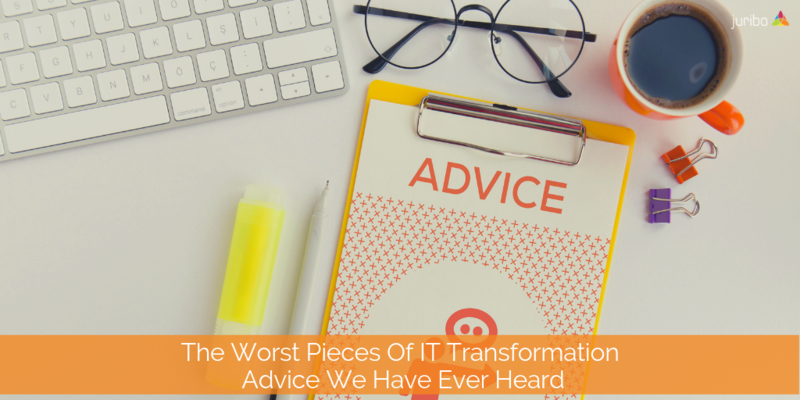 So, we compiled below the worst pieces of advice we have ever heard on the topic of managing an effective IT Transformation. This way, if you hear one of these common myths, you'll know to be wary of it and consider it twice. 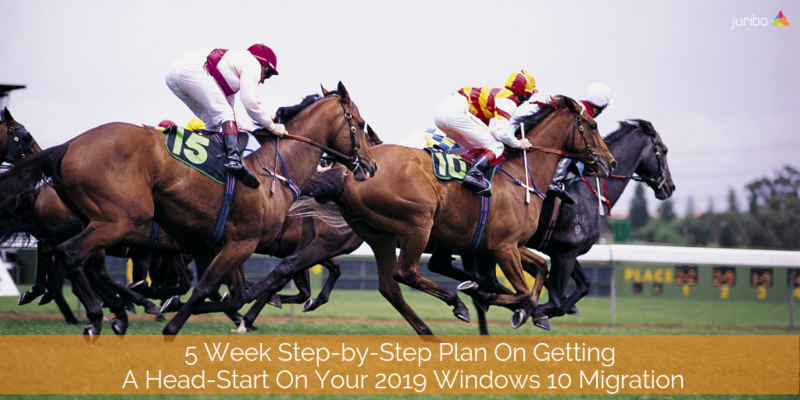 2018 has been be a big year for enterprise IT teams — but for those who still haven't made the move to Windows 10 and adopted a repeatable and scalable Windows-as-a-Service Management framework, 2019 will be even bigger. 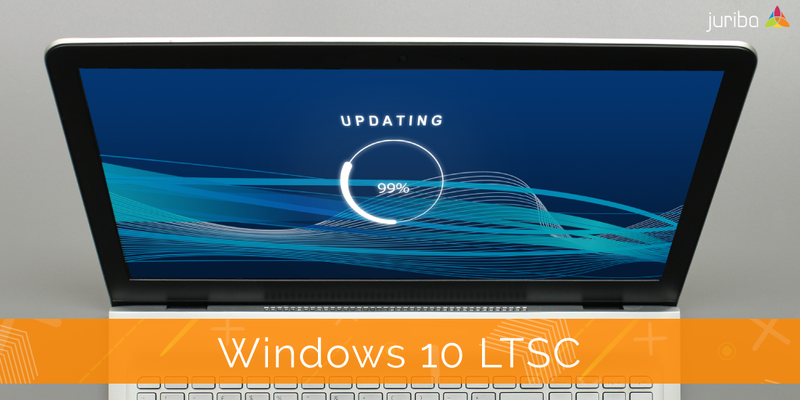 Most large organizations have completed or already are in the midst the long and challenging journey to migrate tens of thousands of assets onto Windows 10 — having waited more than three and a half years years after the initial launch date for the new OS to work out its kinks. But with Windows 7 extended support ends in less than a year, enterprises have to kick their efforts into high gear which means the race to start (and finish) these complex IT transformation projects as effectively and efficiently as possible is on. However, it is a common misconception that complex projects like these start off with day 1. Well, they do not. They cannot start without necessary groundwork, such as creating a business case, assembling the initial team or getting seed funding — just to name a few to-dos. We call this "Planning for the Plan." 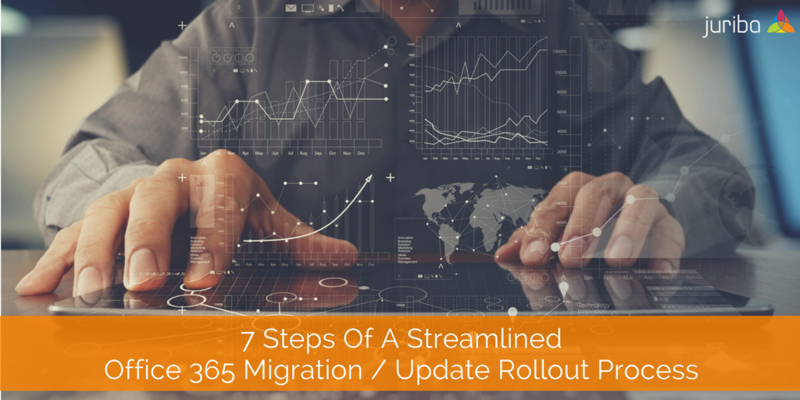 It might sound a bit like organizational overkill, but after having readied more than six million assets for successful migration, we know that putting all the levers in the right places before starting your project will ultimately help you accelerate your Windows 10 migration by over 65%! Over the past few years, we have seen our fair share of failed and dangerously inefficient enterprise attempts to keep Windows 10 and Office 365 Servicing up-to-date. Often, the organization took longer than anticipated to run through the first initial migration, skipped an update to come up for air, just to drown under the workload of the feature update roll out, for which it had vastly underestimated the risk and work effort. Ever worse, these updates are often managed manually, with antiquated and inadequate project management practices! 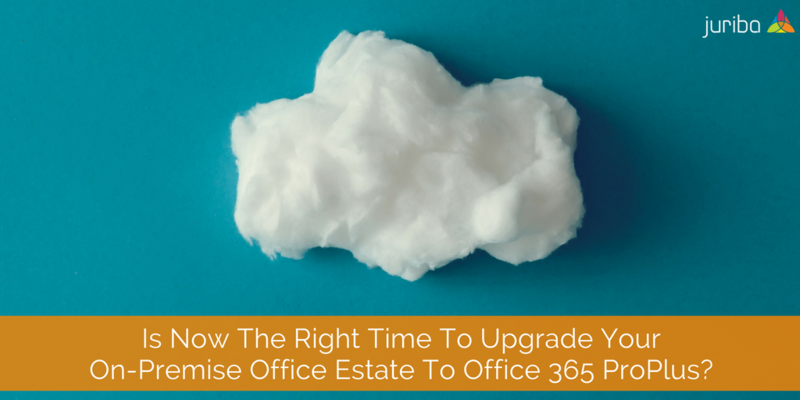 Office 2019: Is Now The Right Time To Upgrade Your On-Premise Office Estate To Office 365 ProPlus? If you recently tried to find anything on Microsoft Office — for example on the enterprise section of Office.com — you might have noticed that there isn't much mention of Microsoft's on-premise productivity application suite anymore. The vast majority of Microsoft's marketing communication and sales conversation is about Office 365! This is not an oversight or a temporary marketing campaign — but rather a strategic push to move enterprise customers away from the perpetually licensed Office fat client and onto the subscription-based, always up-to-date Office 365. Moreover, now that Office 2019 is about to be released, many enterprises are asking themselves: "Should we consider Office 2019, or is it not the right time to switch to Office 365 ProPlus?" Rolling out Office 365 can be very exciting considering the value it will add to your organization in terms of unified communication, collaboration, and business processes! But it can be equally terrifying if you think about all the dependencies of users, mailboxes, delegates, mail archives, public folders, groups, instant messaging, ... the list goes on and on. After the initial migration is completed, Microsoft will release two larger Office client feature updates and monthly security updates to increase productivity for your end users and tighten security. 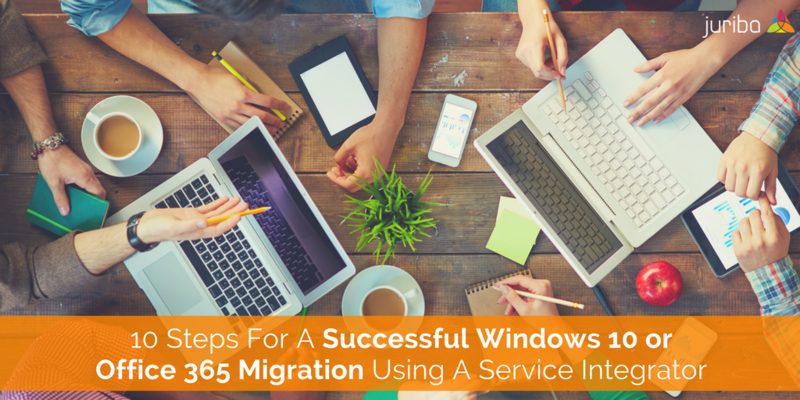 However, just like Windows as a Service, these larger feature updates will need to be rolled out effectively as they can also be considered a mini-migration. 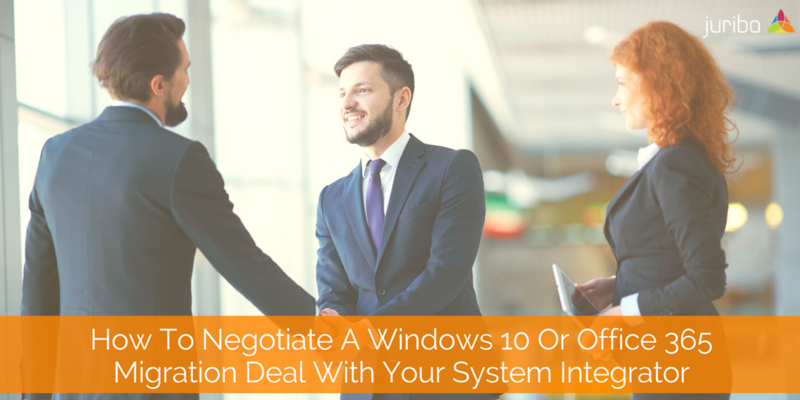 Last week, we spoke about how to negotiate a successful Windows 10 or Office 365 migration deal with a service integrator. But what happens once the contracts are signed? Should you sit back and let them take the reigns completely or is there something you can do to ensure the success of this project? Some enterprises assume that because they just hired an expert organization to take this project off their hands, they can simply drop the ball and let the integrator pick it up and run with it. But while your outsourcer brings a tremendous value to the table, it is completely unrealistic to expect that they will do the best job possible without associated input from your side. 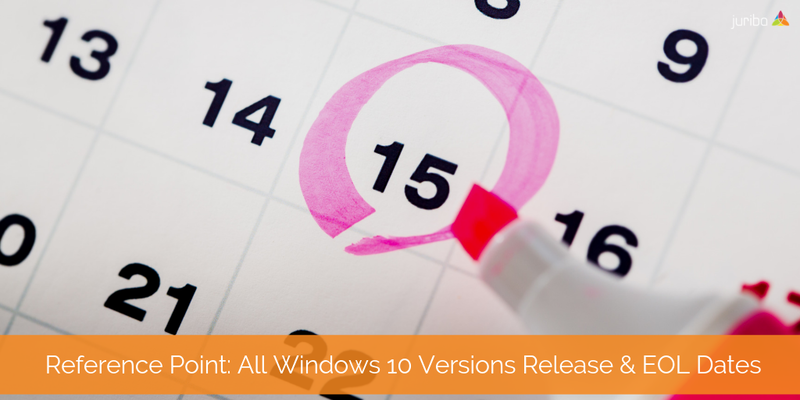 On January 14th, 2020, the extended support for Windows 7 ends, which means that enterprises have about 26 months to fully roll out Windows 10. Similarly, Microsoft expects that at least two-thirds of its Office business customers will move to Office 365 by fiscal year 2019. Since a migration project of that size will take, on average, more than 124 man weeks to complete, it is about high time to get serious about upgrading! According to our own research, only 44% of organizations are set on managing this IT Transformation internally; 28% are about to issue a Request-for-Proposal, 14% have not decided yet, and 14% have already engaged with a service integrator to outsource this massive project. According to a 2015 Forester study, executives predicted that by 2020 47% of their revenue would be majorly impacted or entirely generated by digital — a sentiment that drove Digital Transformation efforts in organizations worldwide. Now that the hype is over and the dust has settled, companies have started to emerge telling tales of great successes — but more often of great failures. On September 6th, 2018, Microsoft announced two new resources to enable its customers to adopt its Modern IT Vision: Desktop Analytics, a cloud-based inventory management and application compatibility assessment tool, and Desktop App Assure, a new FastTrack service that is designed to address any application compatibility issues when upgrading to and updating Windows 10. 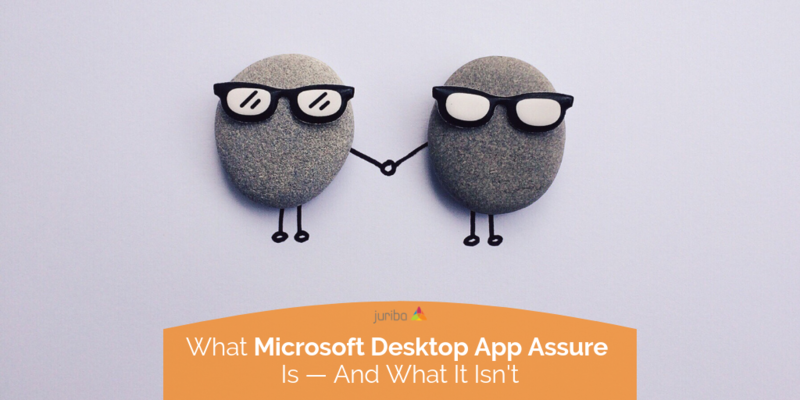 While Desktop Analytics is very straight-forward, we have seen a lot of confusion and uncertainty around what Desktop App Assure is — and what it isn't. Therefore, I am going to pick apart the marketing language and peel back the layers of this new service, lay out its benefits and limitations, and describe some scenarios where it could be very beneficial or insufficient. At Juriba, we get involved in a lot of hardware refresh projects as well as large scale IT transformations. A major part of refresh project planning is how to handle stock management and whether to buy in bulk, or to pursue a just-in-time (JIT) ordering process. 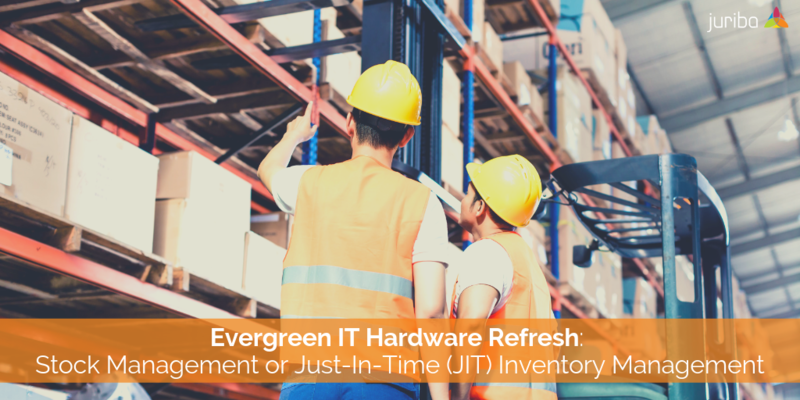 While this question is as old as inventory management itself, Evergreen IT and faster software upgrade cycles have revolutionized how we manage IT, including hardware. Therefore, the historic methods of warehousing and buying in bulk are again under scrutiny, and many organizations are currently revisiting this discussion. 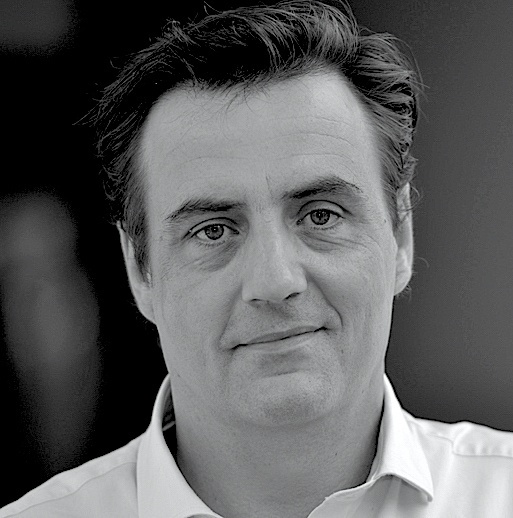 Often, it is a difficult decision to make — especially for very large enterprises operating in different countries, as they have to weigh the risk factors of Just-in-Time against the instant depreciation of their investment and the increased cost and inefficiencies of managing overstock due to misallocation and over-ordering. So, today I want to share some of my past experiences and thoughts on the benefits and pitfalls of each approach. 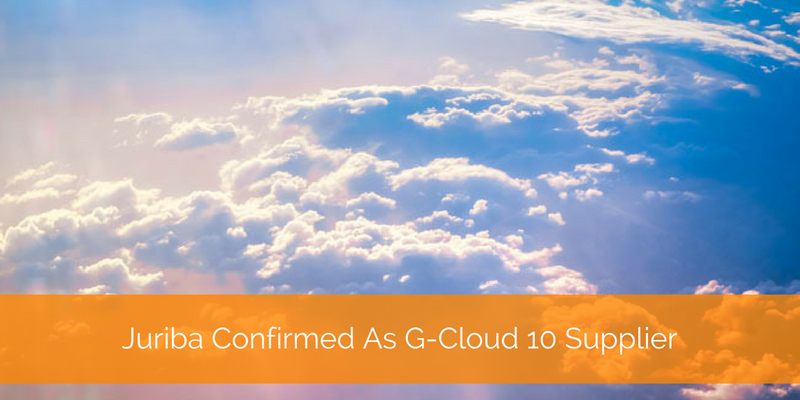 LONDON, 2 July 2018 -- Juriba has announced that its flagship software Dashworks has been accepted into the G-Cloud 10 framework, part of the UK Government’s digital marketplace. 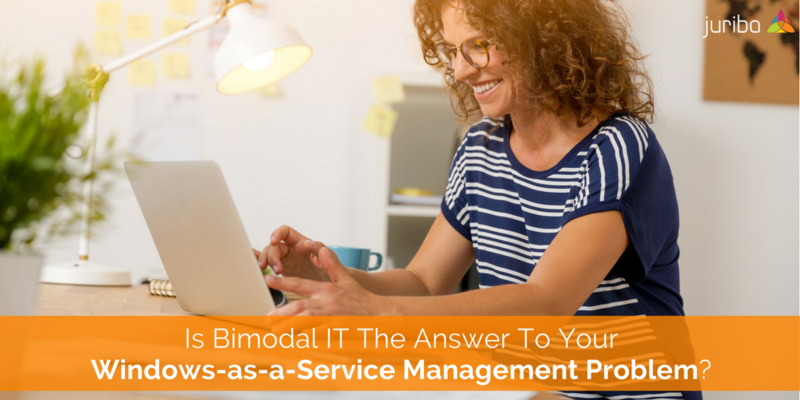 Is Bimodal IT The Answer To Your Windows-as-a-Service Management Problem? If you look at how IT traditionally spent its investment dollars, there would be a distinct requirement for a positive return on investment by the end of the first three years. Many were long-term IT investments that would determine how you would operate in the next ten to twelve years, and resulted in the definition of many established IT management practices. But those ancient IT processes and policies used to manage legacy apps are inadequate to handle modern technology updates. Today, most enterprises are much more agile, having moved applications into the cloud, or utilizing the power of Software-as-a-Service. However, most are still maintaining a layer of dinosaur legacy applications and other mission-critical on-premise software in massive data centers. Since most IT organizations are unable or unwilling to change how they manage IT, they still use IT processes and policies that date back more than twenty years! 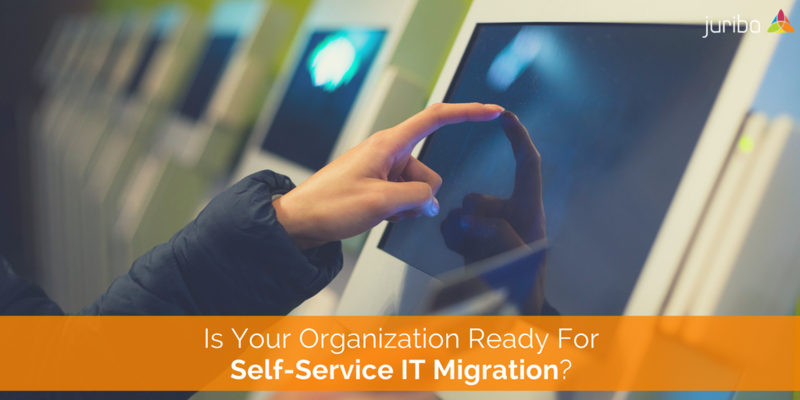 Is Your Organization Ready For Ongoing Self-Service IT Migration? Take Our Quiz To Find Out. The quality of customer service has a massive impact on how consumers interact with the service provider — whether that provider is an internal department, an outsource partner, or a company providing goods and services externally. Studies have shown that one out of two customers will stop doing business with a company because of a poor service experience. That is why most consumers, 71% in fact, prefer firms that give them the ability to solve most service issues on their own. While this might not surprise you, it might shock you to know that an astonishing 38% of consumers would rather clean a toilet than speak to a customer service representative! This article was also published on The Technology Record magazine here. You know you are in a pickle when you are six months into your migration project and you still haven’t gotten any numbers on the board. As the responsible project manager, you are frustrated. There are a thousand questions running through your head: What went wrong? Where did the time go? What can I do to get this back on track? Is there a way I can accelerate this to get back on schedule? Should I increase the number of resources dedicated to this project? Throwing more people at it certainly seems like the right thing to do. After all, you need to be seen to be doing something! This is the route that many a project manager has trodden! But what most project managers have come to realize after the fact is that throwing more people at it doesn’t always translate into a faster project. Only automation and appropriate tooling will do that. When it comes to technology, one thing is true: change is constant. In fact, technology today is changing faster than ever before. It changes the way we pay, shop, interact with other people, and even how we work. For businesses, this means they have to adapt — and fast — to exceed their shoppers' expectations by providing an outstanding omni-channel and digitally supported customer experience. Companies across all industries have to constantly push the innovation envelope to reach new customers and keep existing ones from wandering off to the competition. Despite the political and economic uncertainties within the past 12 months, CEOs around the globe are prioritizing growth (58%) — a huge jump from last year's 42%. These growth innovations to improve customer experience and save costs are commonly known as "Digital Business Transformation" and often target a plethora of opportunities to outpace your competitors and reap untold savings. But achieving successful transformation is a journey full of potential roadblocks. In this blog we look at what those roadblocks are, and how to avoid them. 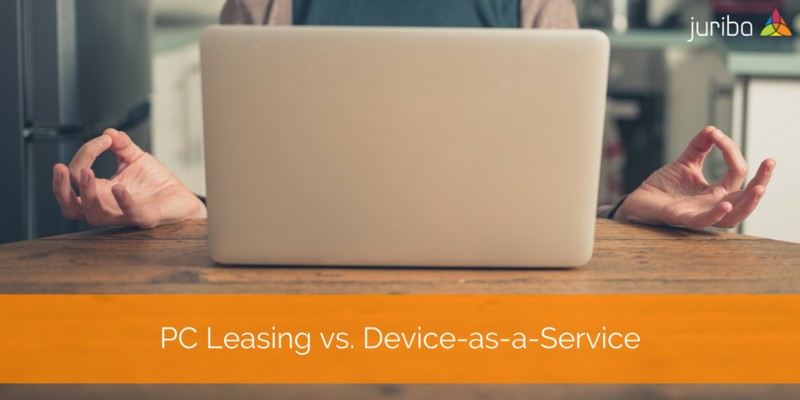 DaaS - We've Had Desktop, But How About Device As A Service? In the last few years, enterprise IT departments have faced a unique set of challenges: On the one hand, they have morphed from a supporting entity to a business enabler, and are maintaining increasingly complex IT landscapes whilst battling significantly larger cyber security threats than ever before. On the other hand, they have to manage more change with fewer resources and stagnant or minimally-increasing budgets. A few weeks ago, we spoke about the Digital Workplace and how it came a long way from being an abstract concept that a lot of companies saw value in, but did not have the technology to support their needs properly, to becoming a reality for a lot of enterprises as they embraced server-hosted virtual desktops. As organizations are now embarking on their Windows 10 migrations, as well as considering Evergreen IT as a long-term IT goal in order to become more agile, scalable and flexible, Virtual Desktop Infrastructure is experiencing a technology-induced revival. 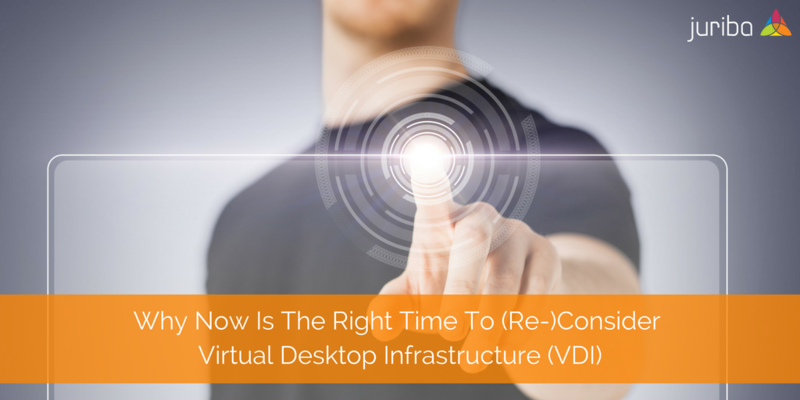 It's been a much slower adoption than many analysts expected, but more companies are now virtualizing desktops than ever before! Gartner expected the hosted virtual desktop market to grow to 76 million users by the end of this year. And it seems the growth is not slowing down anytime soon. Most analysts forecast anywhere from 8.9% CAGR (IDC for the entire VCC market) up to 27% (depending on the analysts' definition of VDI) during the period 2016-2020. 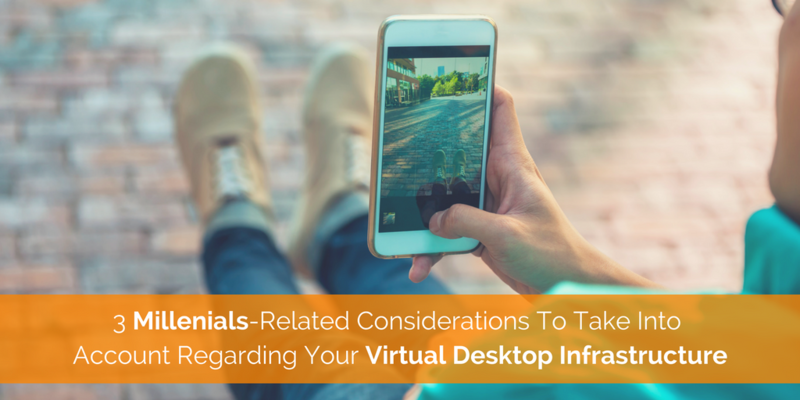 As more and more enterprises are starting to embrace Virtual Desktop Infrastructure to save costs, tighten security and improve manageability and compliance as well as give their employees more device flexibility and accessibility options, many fail to consider the generational change in the workforce that is happening right now. 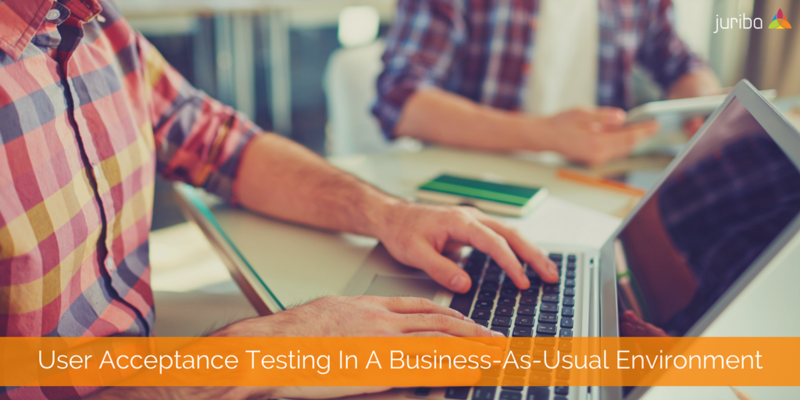 Traditionally, User Acceptance Testing (UAT) is performed at the end of a long software development cycle by the intended audience under real-world conditions. By then, engineering has performed a battery of technical tests to ensure the software works as expected. However, in some cases, engineering's understanding of the business requirements and user needs versus what the user was actually looking for are two very different things. This is where UAT usually comes in. Today, we are wrapping up our 3-part blog post series about Evergreen IT by taking a closer look at software catalogs. As your organization evolves, and demand for business flexibility increases, the proliferation of applications each end user works with tends to grow in volume as well. Consequently, your IT department works to cope with an increasingly complicated application environment, and you begin to dream of initiating a Software Asset Lifecycle Management project that will bring order to the chaos. What’s the name of that application Employee A is running on her desktop? Is it the same as the similar title running on another computer by Employee B in a nearby department? You cannot get an accurate idea of how much software you have deployed if you don’t know the names and locations of each installed application. If software is not named consistently, you might see one copy that includes the name of the vendor and another that has a truncated or abbreviated version of the same name, or a different vendor entirely (think Macromedia and Adobe - both now Adobe Systems). It might seem like you have five applications when actually you only have five names for the same thing. 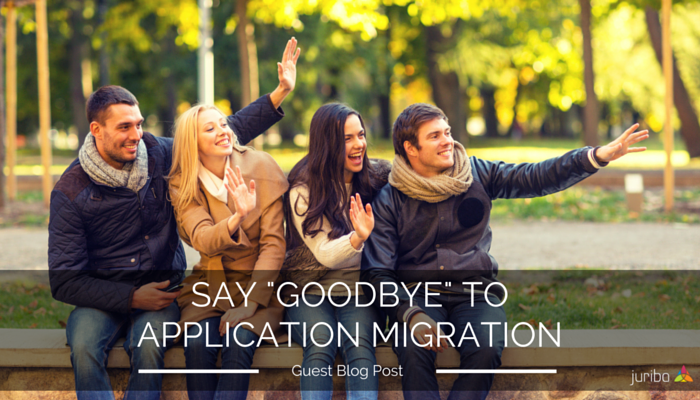 How Important Is Application Normalization to Your Windows 10 and Evergreen IT Projects? 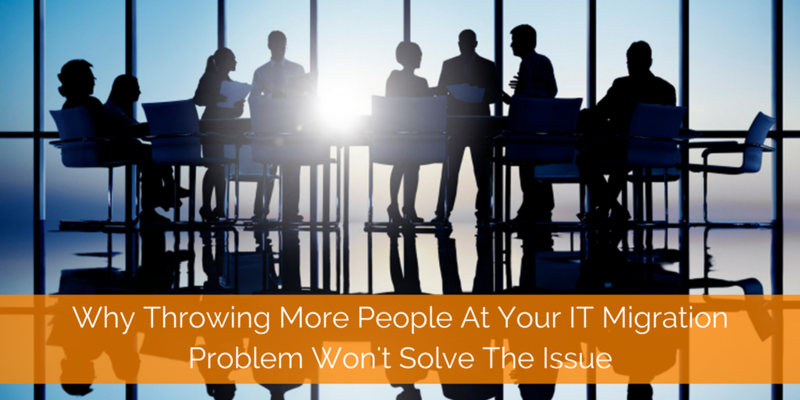 A stressed out, harried IT department is a sign that your organization has bitten off more than it can chew. There’s no need to have circumstances lead to the point where your IT professionals are pulling out their hair in frustration and growing ragged from lack of sleep because of the burden that comes from launching one big bang project after the other. Instead, gradual, incremental changes to your mission-critical software assets will be much more effective and will help your organization stay on track. Many larger organizations have recognized this not only as a possible way to gain a long-term competitive advantage but also a way to significantly cut cost and resources. In this 3-part series, we are exploring vital stepping stones that pave the way to achieving this. Last week, we talked about software asset lifecycle management, and today we will look into application normalization. In a few days, we will take a closer look at software cataloging. 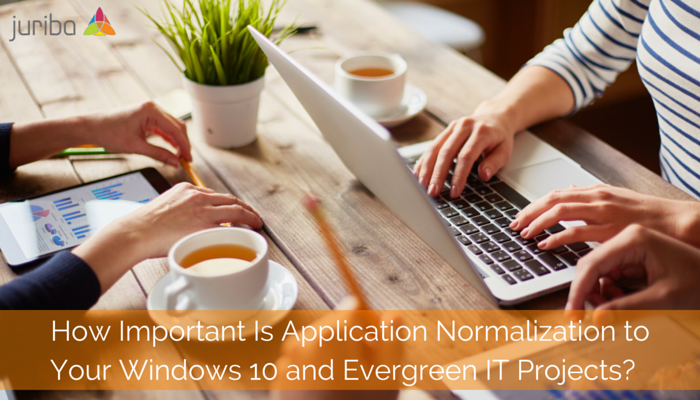 With that in mind, you may be wondering how important application normalization is to your Windows 10 and Evergreen IT projects. On The Path To Evergreen IT: Software Asset Lifecycle Management - A Dream Or Reality? Today, enterprises need to be able to adapt faster to changing environments to fend off competitive pressure; they need to be able to grow faster or scale back when needed — all while reducing costs and increasing the value of the services offered. There is not a week that goes by where I don't have at least one conversation about Evergreen IT or managing IT change as "Business as Usual" with prospects, customers or partners. The demand for managing information technology assets on a continual basis reflects a natural consequence of software developments (e.g., cloud computing, software-as-a-service) as well as changing business demands. Think about your Apple or Android phone constantly updating applications in the background, or Windows 10 and its regular patches. But back in the corporate world, the requirement for control of the environment is a significant hurdle to adopting the most adaptive change methodologies. Imagine if an untested change brought down your main trading application! The challenge is how to take a better approach but retain control. 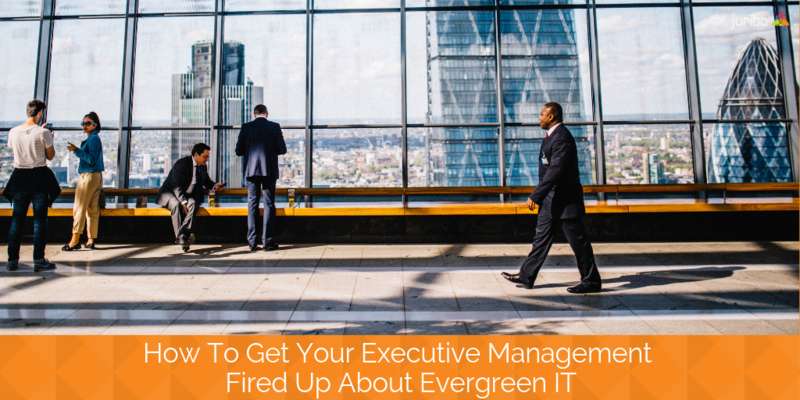 Ideally, Evergreen IT results in increased efficiencies, more agility and better scalability across the entire enterprise. For example, IT transformations could be managed in an agile fashion (business as usual), rather than in one-off big bang migration projects. Let me start by explaining that I have spent a significant part of my career in the application packaging space, and currently work for a company called Revacom who are an application packaging expert. At Revacom we support the application packaging for multiple large OS rollouts across different enterprise organizations. In most of these projects, the applications are the major blocker to deployment progress. 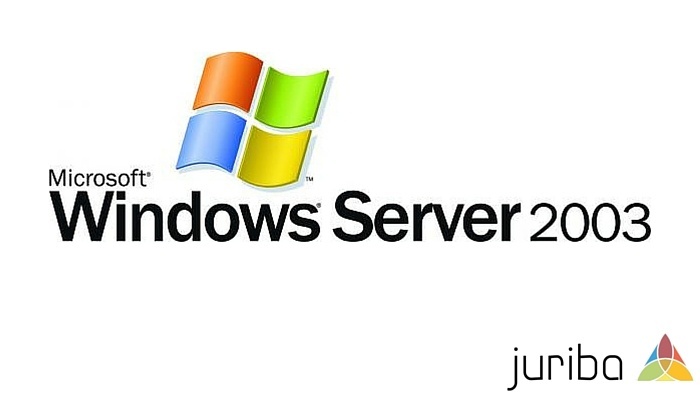 With the Windows 2003 Server end of life time bomb now passed on July 14th 2015, we thought we would take the time to document our advice for Server 2003 migration project planning activities based on our own server migration experience. Download our Server 2003 Project Plan for free. 2018 was the busiest year for our development team here at Juriba so we thought it might be useful to put out a summary of the major changes. 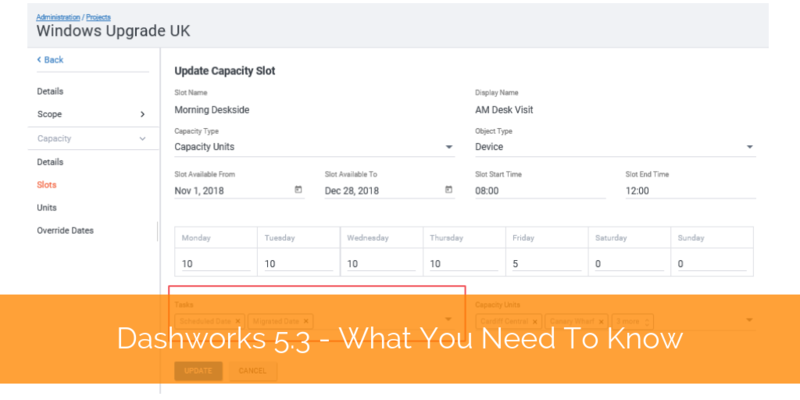 As customer requests for functionality grow so does the product, hence the increasing need to provide more updates, more frequently, and the release of two major new versions of Dashworks (5.2 and 5.3). With Windows 7 approaching end of support in January 2020, most enterprises are accelerating plans to migrate to Windows 10 in 2018 to take advantage of the new or improved cyber-security capabilities, and avoid an expensive custom support agreement with Microsoft. 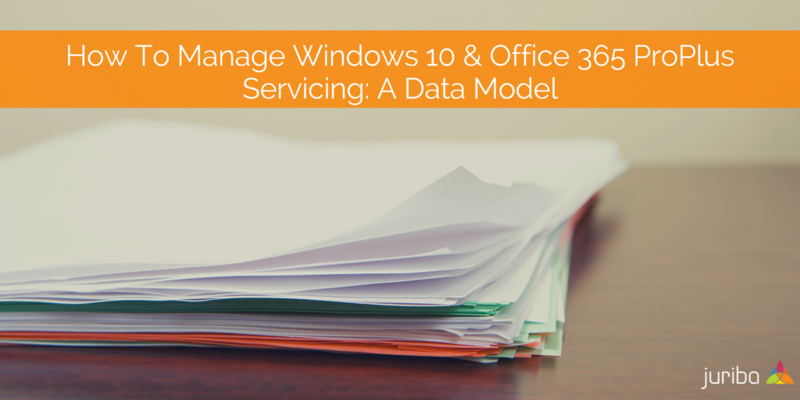 However, at this time, fewer organizations than expected have taken the plunge because they dread the Windows-as-a-Service servicing model that requires continuous upgrades and a more agile, Evergreen IT management approach. Ahead of the game is Pillsbury Winthrop Shaw Pittman LLP, an international law firm recognized by the Financial Times as one of the Most Innovative Law Firms three years running. 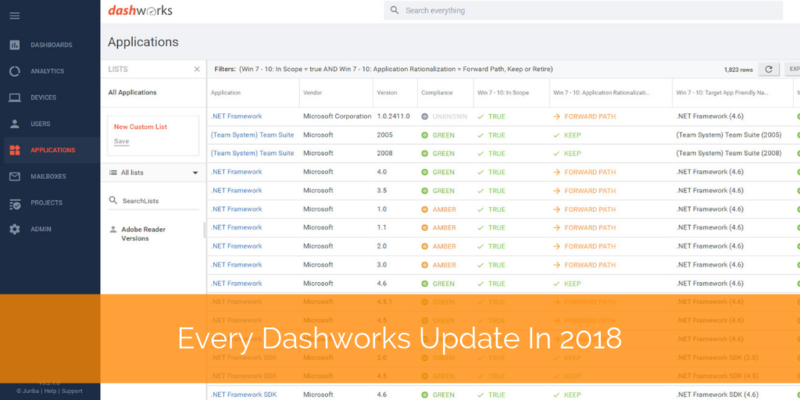 Today, I want to share a little sneak peek at our latest customer case study and tell you the story of how Dashworks transformed this dreaded Windows 10 migration experience into an IT Transformation initiative that the 700+ lawyers and their staff could not only get behind, but actively participate in! 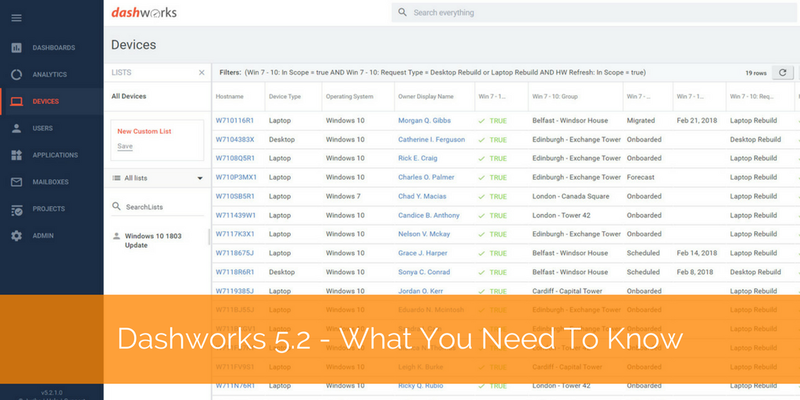 We are excited to introduce you to the latest version of Dashworks, 5.2! This release was focussed on improving the user reporting experience and building out some Evergreen project management features to support the Windows 10, Office 365, BAU application and hardware refresh activities managed perpetually within large organisations. 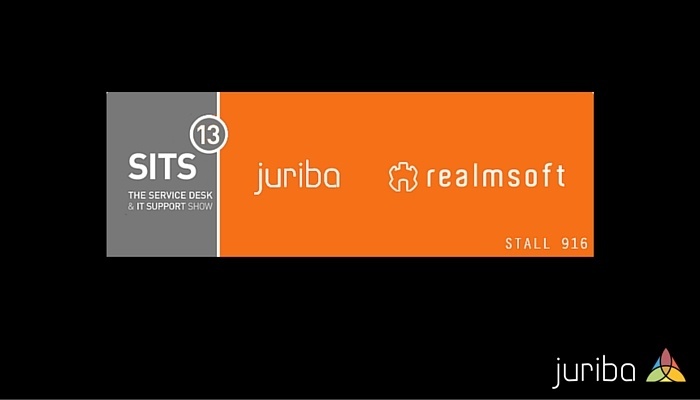 As always, it is thanks to the insightful feedback provided by our customers that has helped drive product innovation and make the drive towards IT transformation and Evergreen IT management a possibility with Juriba Dashworks! 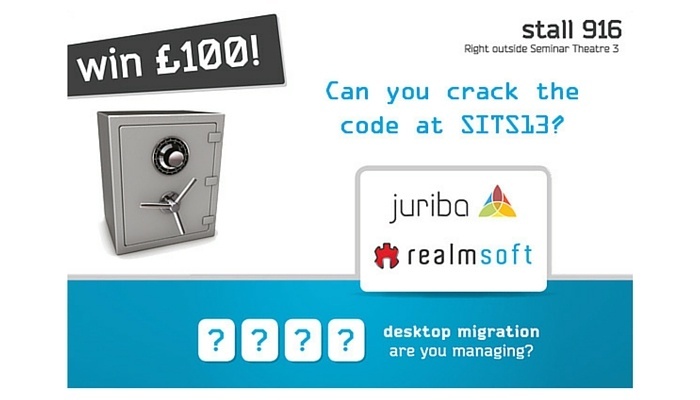 Juriba was formed in 2008 by a team of industry veterans who have spent their lives managing, operating and migrating enterprise desktops and infrastructure. It's hard to believe, but on October 15, 2018 Juriba turned 10 so we thought we'd write about our journey! 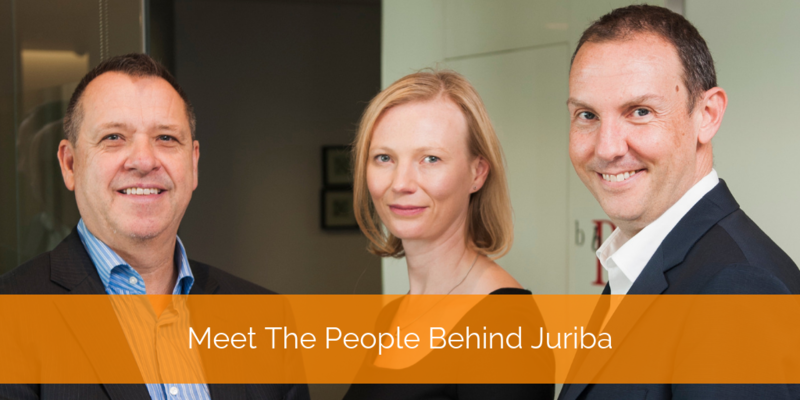 It all started in 2008 from Julia Bell's (our Chief Operating Officer) house and 7 million assets migrated later, Juriba has achieved 10 years in business. We thought it would be nice to celebrate with all our readers by listing our key milestones in this blog post. More than 26,000 people from 100 different countries attended the biggest Microsoft event for IT professionals and enterprise developers, Microsoft Ignite 2018 in Orlando. Our Juriba team was there as well, listening to keynotes and announcements, meeting with partners and hearing about lots of exciting new product developments and announcements! In case you didn't manage to get yourself a ticket (they sold out shortly after being released) or you were busy meeting fellow IT Pros, don't worry, we've got you covered! 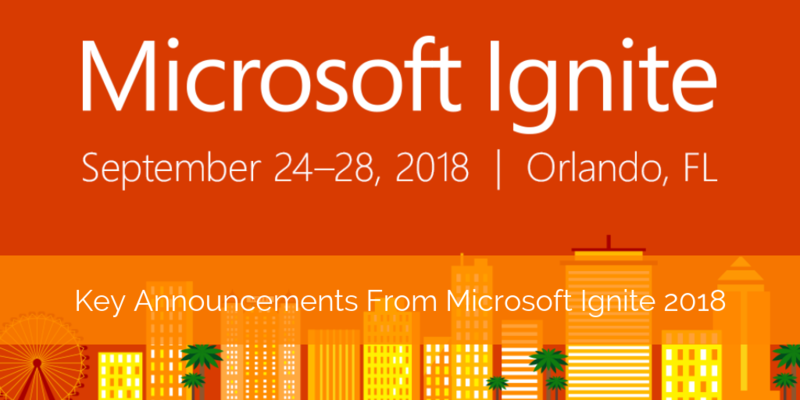 Keep reading to discover everything you need to know about Ignite 2018. You can also watch the on-demand sessions here. Please note: This article was first published on the Ivanti Women in Tech blog. I am the co-founder and COO of enterprise technology company Juriba, and a technologist with more than 20 years experience. I am also a woman. I consider the ongoing discussions around women entering and thriving in technology very important. But I have a confession to make: I also find it slightly mystifying. Maybe because I am fortunate enough to have partners and colleagues who are always both supportive and professional, I'm never made to feel any different. Or maybe I just always saw myself as a PERSON in technology rather than a woman in technology — an attitude that I hope, in time, all men and women in technology will come to hold about themselves and each other. But currently, not everyone is that lucky. 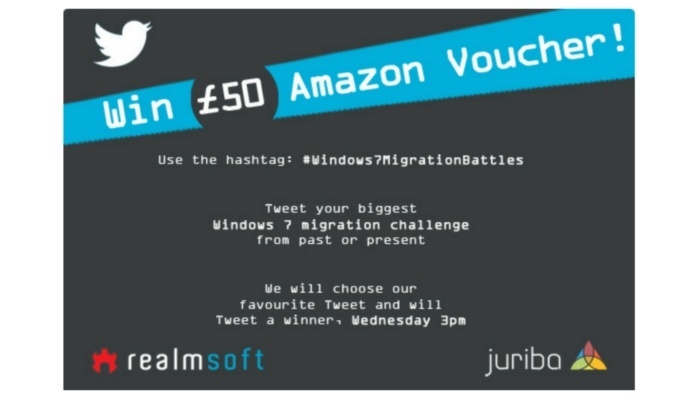 The Service Desk & IT Support Show 2013 Twitter Contest!